You can earn 43 yards with this purchase! 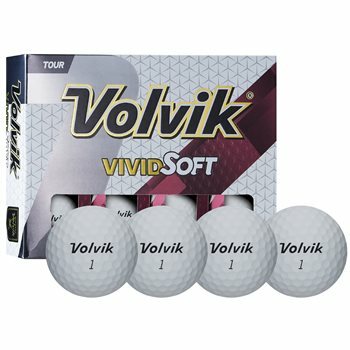 The Volvik Vivid Soft golf ball is the perfect combination of distance and feel for a player seeking the ultimate in a high-performance Urethane ball. The Vivid Soft features the new VU-X Urethane cover for excellent durability as well as the unique SF soft matte coating for increased spin control. The Vivid Soft provides optimized feel off of the club face and precision accuracy with flight stability as well as delivers explosive distance with optimal piercing trajectory and longer roll out off the tee.